Do you know that feeling when you are overwhelmed with goodies and feel like it can’t get any better than that – and it does? Yeah, that’s how I felt when coming to Jorge Ordóñez portfolio wine tasting in Boston. I knew I will be there for a real treat.So where to start? If you are familiar with Spanish wines that Jorge represents, you would probably understand my “pain”. Too much of great stuff and not enough time to taste it all. Feels like all star game for wine lovers, if referring to just a few – Muga, Alto Moncayo, San Vicente, El Puntido, Sierra Cantabria, El Nido and Clio, Can Blau, Volver, Finca Allende and so many more. It can hardly get any better than that. But it always does. I walked my way through wines I already knew and admired, just to check if they are still as good as previous vintages. (like I had any doubts). 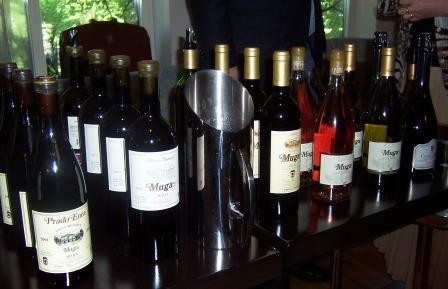 My first stop was at Bodegas Muga table. (see my reviews of Muga wines) Excited to see Juan Muga again, we hugged and shared a glass of Blanco together. Lovely nose, crispy and clean, as always. Than I asked him to pour me some of 2001 Muga Prado Enea, just to tease my spoiled palate and get it ready for more fun. With a promise to come back for “Big guys”, I moved on to greet Loren Gil and his cousin Angel Gil from Jumilla.. The Gil family had without a doubt the longest table, full of wines. Some wines I was familiar with, some were new projects that Gil brothers started with Jorge Ordóñez in different parts of Spain.What to do, what to do? I knew if I tasted them all, I would be wasted shortly after – even though I tried to spit as a professional. But how dare you spit some of these wines? It would be a sin! So I refreshed my memory with Atteca from Calatayud just to warm up, and skipped many others I was already familiar with. I couldn’t skip the Clio and El Nido though (who in the right mind would?) I could just sniff that wine for hours. Angel Gil seemed a little nervous – he was missing a sample of new wine that he was anxious to show me. The tasting room was already filled with many people so I moved closer to Gil’s table and sat down on the sofa to be alone with my wine. As I was meditating with the deep ruby jewel from Jumilla with a silver bird on the label, somebody brought in missing Triton. Angel’s face lighted up and as soon as he opened it, he was rushing to pour some for me. I couldn’t wait. It was a first vintage of a brand new project- partnership of Jorge, Enrique Busto and Gil family. Angel seemed so excited about it. 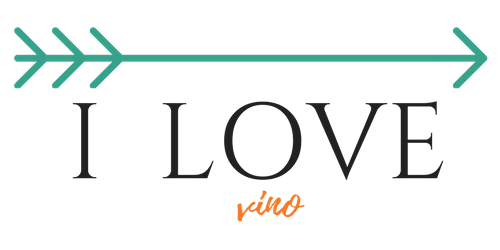 Their new vineyards are located in the small village of Villanueva de Campean, known as Tierra del Vino – full name is D.O. Vino de la Tierra de Castilla-Leon (which should have been part of D.O.TORO, but didn’t quite make it). One glance at the gorgeous label (another one, I don’t know how Jorge does it), and I immediately thought:”Oh oh, this is going to be an expensive baby”. Dark ruby, seemed very rich in the glass. I swirled it a little and strong aroma of dark fruit and cocoa was just opening up. “Old vines?” I asked Angel and he nodded. When I took a first sip, I was surprised by an unexpected spice on my tong. Triton was huge, yet greatly balanced and totally impressive. Wow. Another Spanish star is born! Why would be anyone surprised? TORO has a history of great wines like Numanthia and Termanthia, and with the team of passionate wine perfectionists involved in this wine, the result couldn’t be any different. Considering that the bottle was just opened and I had it shortly after tasting Clio, my palate was just overwhelmed with joy. Imagine what it’s going to do after two hours of aerating! Now I understood why Angel was so proud of it. If I didn’t know it was Spanish, I would say it reminded me of some spectacular Amarone. Mouthful of rich, ripe fruit with hints of espresso, spicy black pepper and maybe even little nutmeg or clove. And, I am not a fan of big wines to begin with. This one though, I’ll gladly make an exception. I wouldn’t even bother to pair it with food. Maybe, a little tiny steak tips. Or not. The biggest surprise came when I asked about the price. I almost forgot to close my mouth. Based on the quality and packaging, I expected higher $40ish…. This wine sells for under $ 20.00 a bottle. Well in that case, this is a super crazy steel! I can’t predict if it’s going to age well, but I would definitely see another few years in the bottle. I’ll be anxious to see how this wine progresses. That’s what you get when you think it can’t get any better…. Absolutely! My wine club went on the mission right away…! I couldn't agree more with you Vera – the new Triton is AMAZING! and a bargain to boot. For those reading this – call your local store and ask them to hold a couple of bottles for you – because this stuff is going to be hard to find – very very soon.Wish I could have attended this one! Salud!